HDP – High Definition Porcelain® is an exclusive trademarked process by Florida Tile that utilizes the most technologicial advanced glazing system in the industry today, digital printing. This process has taken decades of painstaking work to bring the technology from the research and development laboratories to the production line. Continuing to be an innovator in the industry, Florida Tile was the first manufacturer to use this technology in the United States. Similar to the revolution in the television industry, the digital printing process on ceramic and porcelain brings you the most realistic image possible, except it is on a tile. Much like the picture on a television screen, the graphics on tiles are made-up of millions of small dots of color; the smaller the dots, the higher the definition. Using a blend of real photography and artist developed graphics, the digital printing process uses thousands of nozzles to print each tile. The use of digital images allows for an overall variation that is up to sixteen times greater than that of the previous process. The Florida Tile specific HDP – High Definition Porcelain® production process utilizes this digital printing technology that is a huge leap forward in both resolution and pattern variation. 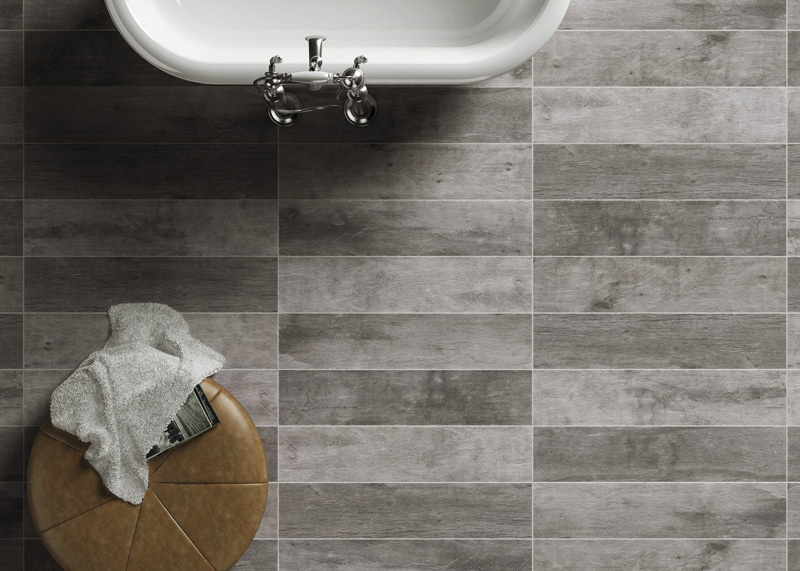 While it is the look that draws you eye, HDP – High Definition Porcelain® products by Florida Tile provide a durable and easy to maintain product that cannot be found in any other flooring option.